Key messages from the July ECR Forum! Winning grant funding and writing papers for publication. We’ve started a series of open forum meetings for academics at an early stage in their research careers (ECRs) to provide an opportunity to ask for advice and guidance from a team of experienced academics and research managers in an informal setting. Questions can be about anything related to research – from publications to projects to funding to research strategy! The Forums also provide an opportunity for ECRs to network with colleagues from across the University. First research proposals – The key message here is collaboration! You need to work collaboratively with others (both at BU and external) to learn and to be successful. Ideally you should have an internal mentor in a similar research area to you who you can talk through your ideas with, who can comment on your draft proposals, and who can advise you on your career. For large grants there are two main ways in: as a Principal Investigator (PI) on your own proposal to a dedicated ECR call or as a Co-Investigator (Co-I) on a colleagues’ proposal to a standard call. You will need to select the right scheme for you and your research. 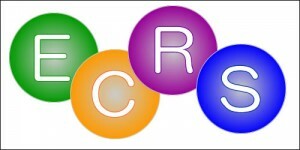 Many funders offers schemes specifically targeted at ECRs (e.g. ESRC’s Future Research Leaders scheme or EPSRC’s First Grant scheme). You will need to identify at least one experienced academic who will mentor you if the proposal is successful and to identify a suitable mentor you need to network and build relationships with experienced colleagues with similar interests. Ideally the mentor will be someone you can meet with regularly, so a colleague at BU or a University nearby is perfect. You can also submit a proposal to a standard call as Co-I with a more experienced colleague as PI. To identify a colleague to work with you need to network and meet colleagues with similar interests. Prior to submitting a collaborative bid it is beneficial to have previously worked with, or at least know, your collaborator – this is reassuring to funders as they can see evidence of an existing, productive relationship and also gives you both the confidence that you know you can work well together (this can save problems down the line if you prove to be incompatible!). Start early when writing proposals as the process will take much longer than you initially anticipate and you will need enough time to ensure your proposal can be reviewed and refined and improved throughout the writing process to ensure the best chance of success. Also vitally important is gaining experience by submitting proposals for small research awards such as travel grants and small grants offered by charities. The application forms are usually short so do not take a lot of time to prepare and they give you vital proposal writing practice and experience and often you receive feedback that can help develop your skills further. Small research awards are important in building and progressing your research career as they indicate that you are continuing to undertake research and that you are gaining valuable experience in budget management, project management and delivery. This is essential experience to be able to demonstrate to funders for larger funding calls that you are a capable researcher and have a track record of successful project delivery; they will also help to build your confidence as a researcher. Smaller calls often have quicker response times meaning you can use the awards to continue your research whilst you are waiting for award decisions from larger funding proposals, such as to the Research Councils. Prior to submitting your bid externally you are strongly advised to put your draft proposal through the University’s internal peer review scheme (the RPRS). You will receive feedback from two experienced academics and from the Research Development Unit. This can help you to shape your final proposal and to ensure it stands as good a chance as possible of being awarded. At a more local level bid writing need not be a lone activity – ask more experienced colleagues in your School for their advice and guidance. BU’s Grants Academy provides an excellent opportunity to develop the skills and expertise required to design, write and structure a competitive, fundable research proposal. Academics attend an intensive two-day training workshop delivered by Dr Martin Pickard which looks at how to write a winning grant proposal and then receive dedicated support afterwards for a period of 18 months to write research proposals. The dates for the next academic year are currently being finalised and will be published on the Blog soon however if you’d like to express your interest in joining the Academy then email Caroline O’Kane and she’ll provide further details. Writing papers for publication – again the key message is collaboration! Single author journal papers, especially as an ECR, are becoming increasingly rare and you will need to collaborate with colleagues (at BU and at other institutions) to produce papers, particularly people with skills you don’t have. Each author should bring a new perspective and skill set to the paper. One of the benefits of collaborating with co-authors is that more experienced colleagues can offer advice and guidance and revise the paper prior to submission to the journal – this will ensure your paper has the best chance of being accepted. The different perspectives of co-authors are also very useful in developing and refining your paper. It is critical that the submitted paper is written in excellent English and many papers are rejected on the basis that the language, grammar, etc are not up to scratch. Colleagues can help with this and you should always proof-read your paper prior to submission. Match the standard of the published articles you have read in journals and use this as a guide. Always take time to craft something good – it is quality over quantity. Having 3 or 4 strong papers is much more beneficial to your career and enhances your ability to get grant funding than 10 poorer papers. Be ambitious and challenge yourself! Try submitting to a journal with an excellent reputation – if you’re not successful then try a different journal. One way to get your paper published more quickly and make your results available to a larger audience is to publish via an open access outlet. 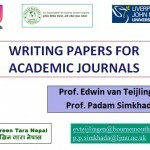 There are dedicated open access journals or you can publish via a hybrid journal (a traditional print journal that also offers an open access option). BU has been running a successful Open Access Publication Fund for just over a year now to support academics and researchers to publish via this route. Don’t just have one thing on the go at once! – you should build a portfolio of your research and have lots of activity (papers and proposals) going on at the same time. For example, if you are awaiting a decision on a Research Council proposal then keep submitting small grant applications in the meantime, or be working on your next journal paper as soon as you’ve submitted your current one. To build your academic career you need to demonstrate consistent performance with grants and outputs and also excellence in teaching. BU is about to introduce a Peer Mentoring Scheme for PGRs. Is there something similar for ECRs to advise you on your career? Hi Elena. The Grants Academy is the closest we have to the PGR mentoring scheme. By becoming a member of the Grants Academy you will get an mentor assigned who can support you with developing your research career. Hope this helps!